Thinking of running a marathon? To say the least, it's no small feat, and there are a lot of factors worth considering. You certainly have to consider the amount of time you'll have to devote to it, whether you can commit to the sort of training it takes to be prepared for a marathon, and any number of other factors like that. But another important set of factors to consider is the effects, both good and bad, that a marathon has on your body. Not surprisingly, there are significant ones for both better and worse. Here are some of the major ones. Increasing immune system activity. 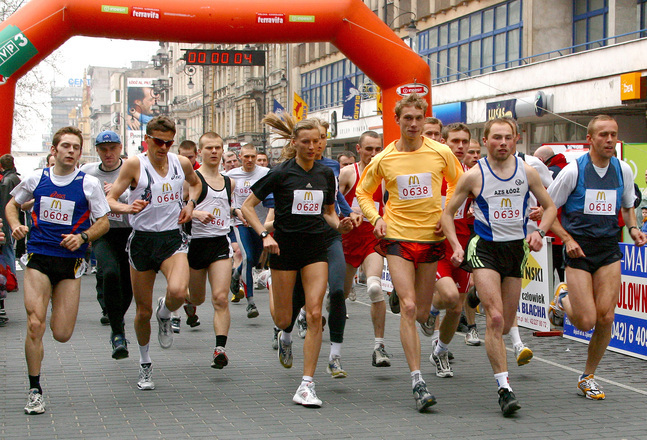 Running a marathon will, in the short term, make your immune system more active. However, afterward, your immune system will be weakened as cortisol is released in order to reduce swelling. A weakened immune system has risks, obviously, so it's important to get enough sleep and try to avoid stress to whatever extent possible. Vitamin C can also help your immune system. Weight loss. One of the more obvious effects of training for a marathon is that you'll lose weight. However, this isn't actually a guarantee; it's important to vary your routine if weight loss is your gain, so you might want to think twice if your primary goal is to drop a few pounds. Inflammation. Not at all surprisingly, running a lot can cause inflamed joints. On the plus side, this inflammation will go down over time, as your body adjusts. Increasing positive brain activity. Along with physical effects, training for a marathon can have mental effects as well. Getting exercise is generally good for your mental state, and training for a marathon can lead to an improved mental state and feeling better. Increasing calmness. Closely related to the effect above, the physical exertion involved in training for a marathon can lead to feeling calmer than you otherwise would. This is one of the major benefits of physical activity in general. Whatever you may decide after knowing the effects of training for and running a marathon, one thing is crucial: that you train enough. Marathons are a major undertaking, and they require serious training; they are not to be taken lightly. To properly prepare for a marathon, a person has to be thoroughly committed to getting themselves properly trained. With all that in mind, hopefully the right decision will be a little clearer. We'll be in touch through this e-mail with updates to the beta app!